Unicus Fitness and the Fitness Lair have always looked for bold simplicity in their promotional materials. 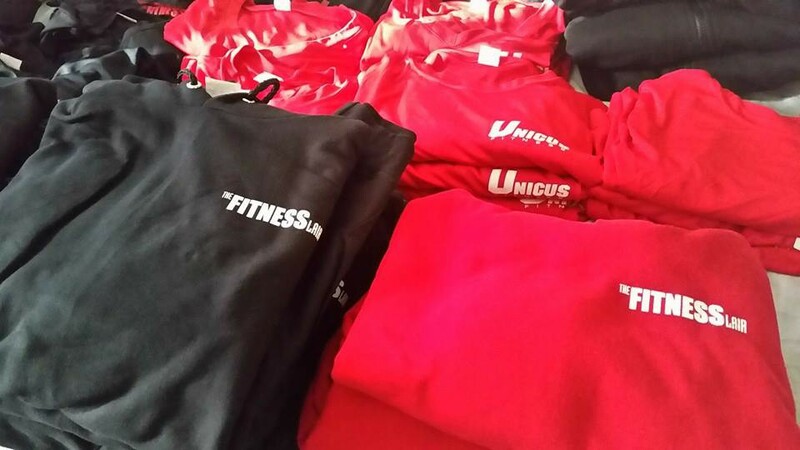 Unicus Fitness custom apparel needed to fit comfortably and present their brand colors in a loud fashion. Pictured is just a small selection of their fall apparel. This included hooded sweatshirts, t-shirts, and long sleeve shirts. They also print many women’s styles, workout gear with moisture-wicking fabrics and even a few kids styles! Unicus Fitness custom apparel has different styles for instructors, new members, and boot camp programs. Some have a front chest printing only, and others with a fitness related message. 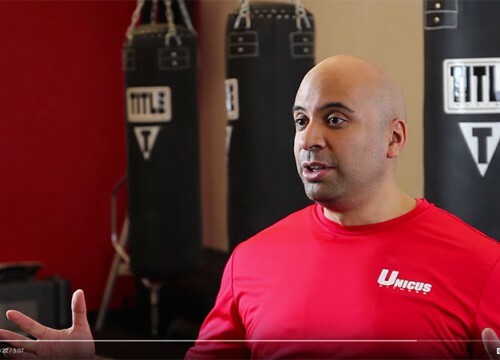 Their consistent and simple strategy has worked, helping make Unicus Fitness and the Fitness Lair the largest private fitness studio in Chicago. dream ink’s relationship helping Unicus Fitness custom apparel look and feel the best spans over a decade. 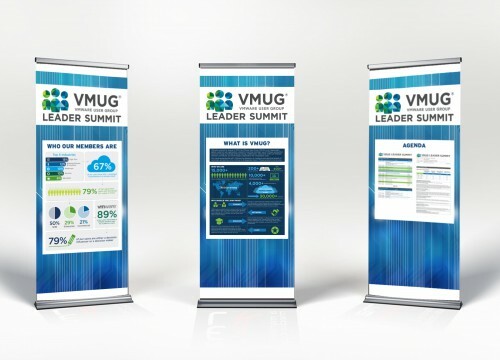 Our high-quality screen printing services are a perfect fit for their needs, with quick turnaround and cost-effective pricing for low quantities. 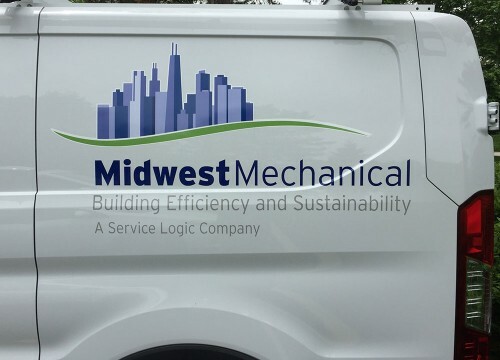 From a few dozen screen printed t-shirts to embroidered apparel for your whole office, we offer competitive pricing on the highest quality apparel from brands like Nike, Adidas, Bill Blass and more. 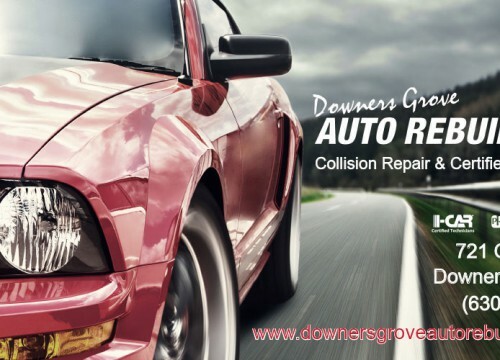 Visit our custom apparel page for more information and links to our preferred suppliers or call today for a free quote!